If you are trying to find a hair salon in Portland who will give you the hair cut you have been waiting for, there are several things you should consider. The salon you choose should listen to your vision for your hair and be completely honest with you about what it can deliver. Setting unrealistic expectations sets both the salon and the customer up for disappointment. Although salon stylists have an obligation to try to give you the exact style that you want, the most responsible stylists also know when to give other suggestions. The first thing the stylists should consider once you describe your new hair cut is the shape of your face. Every style is not intended for every face. The stylist should be honest and tactful enough to tell you when you are headed for a look that does not flatter you. It is possible that a stylists will not have the power to talk some customers down once they have made up their minds. As long as the stylist makes her objections known, she is still being responsible. Once the decision about the cut is finalized, the stylist should be able to offer other special services. The one service that often accompanies a hair cut is coloring. A good salon offers permanent coloring, touch-ups and highlights. 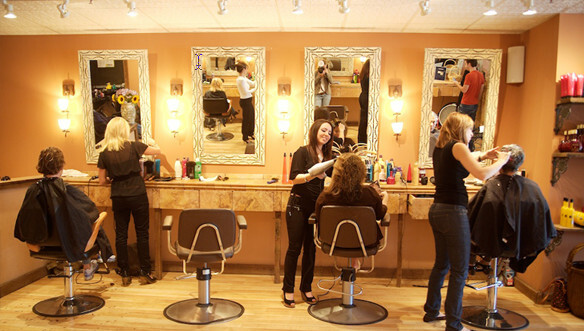 If a salon cannot offer you these options, it is probably a good idea to find another salon. The beauty of your new hair cut could very well depend on it.